Aiming to be one of the first NEO tokens, Aphelion is building a next generation, tokenized, distribution mechanism to solve for the challenges plaguing the centralized cryptocurrency exchanges and trading platforms. This protocol will allow for a groundbreaking peer-to-peer smart contract called a Distributed Exchange Asset Ledger (DEAL). 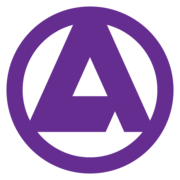 An APH DEAL fuels the Aphelion DApp built on the NEO blockchain that is open source, supports multi programming languages, transacts quickly and frees DEAL makers from: rules, latency and security breaches. APH tokens represent a new breed of digital asset exchange tool. The breakthrough advancement is creating the protocol powering the truly decentralized exchanges directly between users as a distributed ledger DApp. Aphelion’s own Distributed Exchange Asset Ledger (DEAL) is advancing p2p blockchain to the next level and finally into the total control of the users. Aphelion tokens are an escrow utility. They are the digital smart contract mechanism powering the DEAL.